Have questions or need something specific? Patagonia team sports division reps George Plomarity and Alison Ferguson are here to help. Both live and breathe sport and understand your needs. 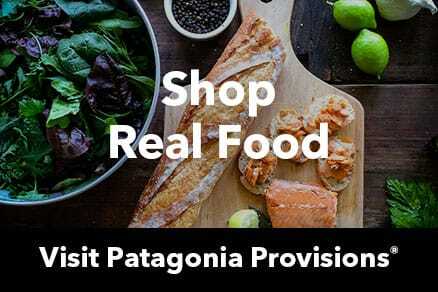 Their athletic passions, combined with their excellent product knowledge, will go far in helping you find the most appropriate Patagonia gear. Register through our team registration page and they will receive your inquiry, then follow up with you soon thereafter via email. Ali helps outfit teams within these sports: outrigger canoe clubs and events, rowing, sailing, ski/snowboard and Nordic, canoe/kayak, ice hockey and court sports. George works with Ultimate, field sports (soccer, lacrosse etc), and with "ultra" events and endurance sports such as cycling, triathlon and other lung-popping activities that take place on land. If you find yourself in Ventura, make sure to stop by and say hi. We’d be happy to show you around and perhaps find a wave or two with you.